For rent ads in Perth. Thank you for visiting our free advertising website For rent, Perth section. We provide high response free classifieds and free advertisement. Use our online free For rent classifieds placement system to find, list, offer For rent online! 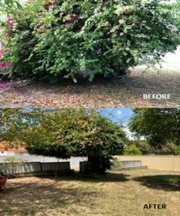 Are you looking for best rubbish removal companies in Perth, WA? WA Site Clean provides the best cleaning services for residential and commercial needs. Contact via e-mail on wasiteclean@gmail.com or you can call us on 0437943434. Contact Us :- Company name:- WA Site Clean Business Mail id:- wasiteclean@gmail. Centre of Nedlands , Great exposure! Free WIFI + 1/2 outgoing fees! Located at centre of Nedlands, Ground Floor, Face Stirling Hwy. Great exposure for your business Newly renovated, modern design, entire office for you to use. One large waiting room, one consultation room, plus 2 treatment rooms, each with a massage table. The Freshwater Apartments have a great sense of style with bright, contemporary interiors. They take their inspiration from the outback setting, with feature walls in earthy tones, inspiring photography and aboriginal artworks. The setting is also notable, just over from Celebrity Tree Park and Lily Creek Lagoon. These luxury AAA 4 star rated spa apartments are situated 4 hours south of Perth, Western Australia, just 20 minutes west of Albany and 30 minutes east of Denmark.Spoil yourself as you take in the stunning surrounds. Sip on a glass of wine on your private balcony, enjoy a bbq on the decked verandah, or relax in the privacy of your luxurious spa with spectacular ocean views. Managing luxury self contained holiday apartments in Mandurah. All have water views and several locations around the canals, estuary, city centre and beachfront. All within walking distance to shops, restaurants and swimming..
Short term accommodation provider in Perth and surrounds. We offer affordable clean, comfortable budget apartments fully furnished and equipped. Offering more independence than the alternative of hotels or motels. Perfect for hospital, UWA, corporate, relocations, holiday stays. Western suburbs including Subiaco, Shenton Park, West Perth, Nedlands. This beautiful furnished home is ideal to your vacation to Perth Western Australia The home features 4 bedrooms 2 bathrooms 2 TV lounges Wi Fi Air conditioning and a lovely alfresco area completed with sofas and alfresco dining furniture There is also a large sparkling below ground pool for your enjoyment. At Perthpremierphotobooths.com.au strive to meet expectations and we hope every guest walks away talking about the amazing photo booth rental Perth has to offer. A photo booth adds that extra little touch that makes your party or event stand out from all of the others that people have attended in the past. Photo booth packages available from Perth Premier Photo Booths start at only $599, so no matter the budget, there is photo booth option available for everyone. 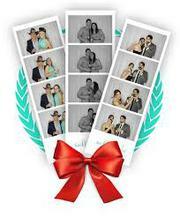 This way, guests can have a great time with the excitement offered by having a photo booth. See more at- http://www.perthpremierphotobooths.com. 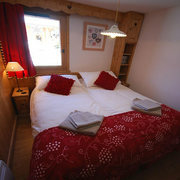 Room available to friendly easy going female 18-40 to share in large modern family home with easy going couple in 40`s. Room is fully furnished, has ducted air/con, own shower & toilet, close to shops, public transport & Fremantle CBD $160.00pw plus exp……. Wifi available. Room for rent in Rivervale. $160 p/w covers rent, bills and internet. King size bed and built in wardrobe included. Close to basic essentials. No lease to be signed, so stay as long as you wish. Email or call Joey for further details 0404 858 710. Luxury furnished serviced offices and virtual offices in Perth. Completely flexible take an office for 1 day or many years and if you don’t need a physical office then try a virtual office, they are cheap and give you that professional look when you need to look and feel like a bigger business.. Looking for the cheap backpacker’s hostel in Perth with quality facility and comfort, just explore the Perthhostel.com.au and avail the tremendous benefits of living there. It is 15 minutes proximity to the Perth Central business district. Wombat backpackers provide all the facilities and comfort to the guest at unbelievable prices. If you are looking for a 4 Star hotel Perth, the Melbourne Hotel can be the best choice for you. We are one of the best hotels Perth. We offer all the amenities and luxurious accommodation to our guests that any boutique hotel Perth offers. In fact, we ensure the best Perth accommodation that every tourist looks for. For rent : 2BR apartment in EAST VICTORIA PARK Swansea Street East (LIME APARTMENTS): Beautiful and comfortable 2 Bedroom 2 Bath ground floor apartment in resort style living environment. new apartment –. (Lime apartment). Partly furnished. Full air conditioning to all rooms, swimming pool, sauna, gym, function room, BBQ. Beautiful and comfortable 2 Bedroom 2 Bath ground floor apartment in resort style living environment. new apartment – (Lime apartment). Partly furnished. Full air conditioning to all rooms, swimming pool, sauna, gym, function room, BBQ. Walking distance to train station and bus stops on Shepperton Road and Albany Highway, shops and close to all amenities. This is a 2 bedrooms apartment, both bedrooms are fully furnished my apartment is on top floor with huge balcony and beautiful view.both bedroom come with en-suite, big built in wardrobes both bathroom including washing machine and dryer Beautiful kitchen with dishwasher and fridge Open space living room including leather sofa, coffee table, entertainment unit with dvd, cd player and big plasma tv & split system inverter A/C. Excellent job opportunities for freshers and Professionals in Perth at Backpackers. Search jobs and apply online and apply for best job. Contact:- http://perthhostel.com.au/jobs/. Wombat Backpackers has all the facilities which are there in a hostels and the rates are very cheap.So take a look. Contact:- http://perthhostel.com.au/. If you are planning a vacations, then Perth is the best place where you can come with your family as well as with friends.A lively place to enjoy your vacations in your budget. Contact:- http://perthhostel.com.au/facilities/. Perth hostels are full of all facilities whether it is related to ac, wi-fi services, room services and any other services.And all the services are provided at cheaper rate. Contact no:- http://perthhostel.com.au/facilities/. 2 rooms for rent in beautiful old style Attadale home. I am female, 38 years young, into meditation, the beach, the outdoors, life and am mostly vegetarian. I live close to the river, the beach, Fremantle and public transport. The house is large, 4 bedrooms and has a sizable back yard. If this description. I'm moving out and looking for someone to replace me. The room is very spacious, furnished with single bed, study table and light and dressing table, in built wardrobe. House is quite modern, clean and housemates are peaceful and friendly. Location in Bentley plenty of space in front of the house to park in a peaceful safe neighbourhood area. Available Immediately. 4 Bedrooms X 2 Bathrooms house partly furnished with cieling fans, aircon, sky light, log heater, large backyard shed and double garage. House is located walking distance from South Well primary school and Pheonix Shopping centre and is 8 mins drive to Freo. For inquiries and inspections directly call on 94451180. Rental Real Estate Karratha - Are you looking for rental real estate property in karratha? Yennett provides best rental property in karratha. Buying one’s own home or looking for rented commercial space is a big financial commitment. It is no wonder that one expects to excel at the very first attempt. Rental Management Australia For Property Rental Management in Australia –Rmaproperty are experts and provide the latest listings of properties for rent, specialized property management in with offices throughout Australia. East Victoria Park Office Address: U2, 900 Albany Highway East Victoria Park, WA 6101 Phone: (08) 9269 6100 Fax: (08) 6315 2690 Email: eastvictoriapark@rmaproperty. Luxury Accommodation Denmark WA. Immerse yourself in the unique country atmosphere whilst being close to the sea, here at William Bay Country Cottages in Denmark WA. For more info visit our Website @ http://www.williambaycottages.com.au and our Facebook Page @ https://www.facebook.com/WilliamBayCountryCottages?ref=ts. Apartment for Rent in PUNTA CANA, PLAYA BAVARO La Altagracia , from US$ 350, --per week , $ 50, --per day, monthly on request up to 4 People. STUNNING APARTMENT ELDORADO VILLAGE 300 METERS FROM THE BEACH For more infos email: jens.corinna@yahoo.com Visit Web Site: http://puntacanarental.egoditor.com. DOUBLE ROOM TO RENT WITH ENSUITE IN KWINANA!!! My partner and I have a large double bedroom to rent with its own bathroom and walk in robe. At the moment it only has a single bed in it and a small bedside table which can be removed if you like. The room is perfect for setting up a large tv, lounge etc and is very comfortable. Cable is also available in room for an extra $25 a month. Australia free ads for For rent, Perth, For rent free ads Perth, For rent for sale Perth, For rent to buy in Perth. Find on this page free classifieds for For rent in Perth. This listing includes classifieds for sale and to buy in Perth. FREEADSAustralia Perth offers you a platform to post free advertisements or classifieds for For rent in Perth. FREEADSAustralia helps you search, find buy, sell, rent or hire in various categories like apartments, goods for sale, local services, cars , jobs and many more in Perth. If you posted an advertisement in category For rent of FREEADSAustralia Perth before please use Edit my ads button to change or cancel your ad. For rent Perth ads Perth, For rent classifieds Perth, For rent free ads Perth, ads for sale Perth, ads to buy Perth, FREEADSAustralia. Find here ads for sale, to buy and rent in Perth. Goods for sale in Perth, vehicles for sale in Perth, Perth real estate for sale, Perth property for sale, property for rent in Perth, business ads in Perth, Perth business classifieds, services in Perth, Perth services ads, jobs in Perth, pets for sale in Perth, Perth dating, Perth cars for sale.